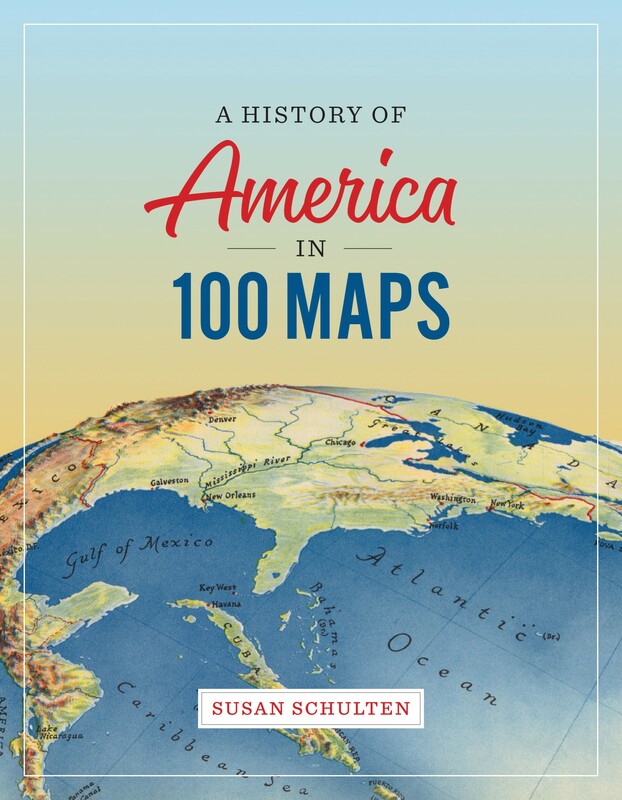 I’m proud to announce that my new book–A History of America in 100 Maps–is now available in the US! It is co-published by the British Library Press and the University of Chicago Press. The British edition will be released in November. The book examines five centuries of American development through a diverse collection of historic maps, many of which are taken from the incomparable collection at the British Library. The eight chapters are organized chronologically, investigating themes that range from exploration and discovery to urbanization and culture. My goal for the book was to explore the extraordinary power of maps to illuminate and complicate our understanding of the past. For that reason I’ve included iconic battle plans made by military strategists but also charts and maps drawn by Native American tribal leaders, soldiers on the front, and the first generation of girls to be publicly educated. Each of these individual artifacts is treated as a unique window onto the past. Considered together, they demonstrate the many ways that maps mattered across five hundred years of history. I invite you to take a look inside the book here.